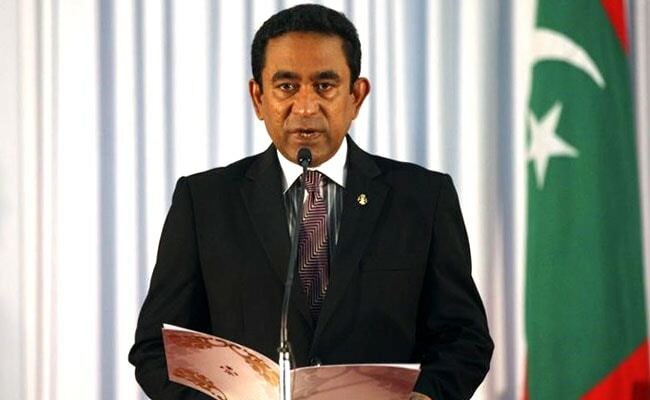 President Abdulla Yameen has yet to release the nine opposition leaders, leading to concerns about a constitutional battle between the Supreme Court and the government. The attorney general had said on Sunday the SC was seeking to impeach President Abdulla Yameen. COLOMBO: The Maldives Supreme Court said on Sunday there should be "no legal barrier" preventing the enforcement of its ruling earlier this week to release nine opposition leaders and re-try them in court, in an indication it expected its ruling to be enforced. President Abdulla Yameen has yet to release the nine opposition leaders, leading to concerns about a constitutional battle between the Supreme Court and the government. His administration has said it had some concerns in implementing the court ruling issued on Thursday but has yet to spell them out. The attorney general had said earlier on Sunday the Supreme Court was seeking to impeach President Yameen, citing information received by the government. The Supreme Court's statement on Sunday made no mention of efforts to impeach the president. The Court also annulled a police arrest against a top supreme court administrator who was to register a corruption case against President Yameen, calling the warrant "against established legal procedure".